BIRDZ UK Casino Slots is a video slot developed by Games Warehouse using OpenBet platform. You will find Birds sitting on the Wires as the main theme of the game. This gives continuous feather sounds and chirping of the birds during the slot gameplay. 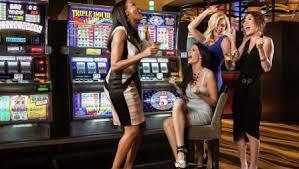 The slot site gives you an experience full of fun and excitement giving awesome gaming experience to the players. BIRDZ UK Casino Slots is a beautiful slot with thirty pay-lines featuring cascading reels. To start the game, you need to place a bet that can range from 0.01 to 15. The cascading reels, features entails when land up with the winning combination, the winning symbols gets replaced by the new ones. Also in BIRDZ UK Casino Slots when the birds fly out, a new flock of birds flies in to fill the empty spaces. BIRDZ UK Casino Slots has a lot of special features to offer to the players. All the features help the players to get the winning combinations on the reels so that they can win more often. There are 5 features that enhance the experience of the game. ‘Bird Blitz’ feature gets activated during a non-winning spin and you get awarded with respins until you score a winning combo. ‘Zap’ feature helps you to select one wire on the reel and electrified them. This makes the place for the new bird symbols to come in. ‘Pecking Order’ feature will replace three of your low-value symbols with high-value symbols. ‘Shotgun’ feature will select three birds at random and shot them with a shotgun making the place for new symbols to fly in. ‘Scarecrow’ feature will fly away all the birds from the reels replacing with all new birds symbols to get better winning options. ‘Cracking Wilds’ feature will directly replace three birds symbols with the Wild symbol making it easy for the players to get the winning combination. Offering five bonus features for the players, BIRDZ UK Casino Slots has become one of the preferred slots for the players. The game that is set on farm background which makes it a classic to play. The continuously triggering features gives exciting winning combinations to the players frequently. The uncertainty of the bonus features getting triggered, however makes the game interesting and the players’ interest alive in the game.